In something of a cannibalized post, and one that I have been meaning to write for a while now, I discuss here some general ideas that may be useful for bioarchaeology bloggers when writing and presenting blog entries for both the general public and the interested researcher. Primarily the focus is on the Bioarchaeology of Care theory and methodology, one which considers the archaeological and osteological evidence for caregiving in prehistory on a case study basis (Tilley 2014, 2015i). However, there may also be some use for the general bioarchaeological and osteological blogger. The first part of this post (the context) is taken from one of my previous posts on the publication here. The second part is taken directly from my own chapter. Enjoy! The volume is titled New Developments in the Bioarchaeology of Care: Further Case Studies and Expanded Theory (£82.00 hardback or £64.99 ebook) and it is edited by Lorna Tilley and Alecia A. Shrenk. The volume presents new research regarding the bioarchaeological evidence for care-provision in the archaeological record. Using the associated Index of Care online tool, bioarchaeological researchers can utilize the four-stage case study approach to analyze and evaluate the evidence for care-provision for individuals in the archaeological record who display severe physical impairment likely to result in a life-limiting disability, or to result in a sustained debilitating condition which limits involvement in normal, everyday activities. The four main step of the index of Care tool used to evaluate the archaeological and osteological evidence for caregiving and receiving. Click to enlarge. Image credit: Index of Care site. In short, my chapter investigates the public reception and engagement of the bioarchaeology of care theory and methodology as proposed by Lorna Tilley in a slew of recent publications (see bibliography below). As an inherent part of this the chapter discusses the ethical dimensions within the approach used for analyzing physically impaired individuals in the archaeological record, and the potential evidence of care-provision as seen on the osteological remains of the individual and contextual archaeological information. Proceeding this is a walk-through of traditional and digital media formats, presented to provide a contextual background for the communication of the theory and methodology which is subsequently followed by two bioarchaeology of care case studies, Man Bac 9 from Neolithic Vietnam and Romito 2 from Upper Palaeolithic Italy, which help to summarize the public perception and importance of the research conducted to date within this new area of investigation and analysis. In the conclusion best practice advice is provided for researchers conducting education outreach with regards to publicizing the bioarchaeology of care research and its results via both traditional and digital media formats. ‘It is evident that the skeletal remains of historic and prehistoric populations and individuals remain a potent symbol of a tangible link to humanity’s ancestors and of mortality more generally. Caregiving, and the evidence for compassion, is a subject that is close to the heart of humanity – one only needs to realise that rarely are any individuals untouched by immediate family members needing caregiving, be it social, daily and/or medical care; it is a topic which is inherently easy to relate to. As such it is recommended that researchers integrate the archaeological and bioarchaeological evidence between the prehistoric and historical worlds to the present. No discipline is better placed, or more uniquely positioned to do this, than bioarchaeology . . . The 2016 Springer publication edited by Tilley & Shrenk. Image credit: Springer.
. . . Yet what are the suggestions for aspiring bioarchaeology bloggers, microbloggers, communicators and outreach workers with regards to best practice in public engagement and communication? How do we, as practitioners of bioarchaeological research, integrate good communication practices within the discipline? These are challenging questions for a new and developing digital medium, one that is constantly changing and updating. Both Bertram and Katti (2013) and Meyers Emery and Killgrove (2015) indicate a number of gaps in the current social media representation of bioarchaeology, as well as suggesting a number of approaches that would develop best practices across the social media range. Some of their suggestions are particularly relevant in terms of how, and why, we should consider public engagement (using all media mediums) as a relevant, ethical and productive factor in bioarchaeological research, and these are discussed as follows. Bioarchaeologists are a tough breed to find online, due to the conflicting terminology used within bioarchaeology and related disciplines. Make your professional online presence visible by clearly defining the focus of your work and by indicating your interests in a clear and informed manner for visitors (Meyers Emery & Killgrove, 2015). It is also recommended that researchers citing digital and social media sites in academic articles, or on other social media applications, should properly reference the authors, title of post, address, and indicate the date accessed, as routine. Vary the approach taken. Videos, for example, are particularly rare phenomena in bioarchaeological outreach, but have the potential to reach a vast audience – much more so than an academic article. It is well-known that serialisations (such as Kristina Killgrove’s Bones reviews or this author’s Skeletal Series posts) keep the reader interested, whilst providing structured content. Joint posts, interviews, guest posts and video entries can also help reach different and varied audiences online and in-print (Bertram & Katti, 2013). Bioarchaeology uses a range of different techniques, and new methodologies and approaches are also developed every year to investigate the archaeological record. The use of these techniques and methodologies can, and should, be discussed and contextualised in terms of, or in relation to, their use and limitations within the discipline. The majority of bioarchaeological research is published in journals in which the article itself is locked online behind a subscription block, a so-called pay wall, thus preventing interested but non-academic based readers the opportunity to learn about the detail of the latest innovations. Blogs, such as Bones Don’t Lie by Katy Meyers Emery for example, offer the reader concise summaries of the latest published articles in a timely and free-to-access manner. Edited volumes such as this are out of the reach of the casual reader who lacks access to a specialist research or university-based library. Three of the best bioarchaeology bloggers. Katy Meyer Emery’s Bones Don’t Lie, Kristina Killgrove’s Powered By Osteons, and Jess Beck’s Bone Broke. Image credit: respective sites as linked. The majority of online bioarchaeology social media content is in English. Using a second language (Spanish, Mandarin, Persian or French, for example) alongside an English translation would enable readers from different areas of the globe to gain access to the content. This could be achieved through transnational projects and international academic partnerships; for example, sponsored online content or conference workshops, spanning both national and language borders, might investigate ethics ‘case studies’ or develop ways of promoting research best practice. Benefits would include greater exposure of research to a wider audience, achieving an increased understanding of the importance of this research, alongside the building of ethical frameworks across cultural divides. It could also lead to a more integrated approach to the physical and cultural analysis of osteological material. The methods by which anthropology, archaeology and bioarchaeology are taught are rarely discussed on social media sites. A pedagogical approach, such as an introduction to the elements of the human skeleton and the importance of their study, would enable the public and researchers to understand how, and why, the topics are taught in a particular manner, and the expected outcomes of this. For instance, an introduction to the terminology used in osteology designed for the lay public can help to break down the ‘ivory tower’ view of academia (Buckberry, Ogden, Shearman, & McCleery, 2015). Furthermore, there should be open lectures and discussion at university level alongside engagement on the pros and cons of digital and social media use, including understanding the impacts and dangers of online sexism and trolling (Armstrong & McAdams, 2010). The ethics of public communication should be considered – what are the support frameworks for the digital advocacy of bioarchaeology online? With reference to the bioarchaeology of care methodology, discussion must be focused on the available archaeological and osteological evidence and, where the material evidence is available, the cultural context for the understanding of what a disability would entail (Battles, 2011; Doat, 2013; Spikins, Rutherford, & Needham, 2010). Due to inherent limitations in osteological evidence, a specific disease diagnosis cannot always be determined (Brothwell, 2010). Therefore in bioarchaeology of care analysis differential diagnoses must be included when examining possible disease impacts on function and the need for caregiving. Each candidate diagnosis should be considered, as these may have different effects in different cultural, geographic and economic environments. Blogging, microblogging and engaging with newspaper reporters and television producers take time and effort. Factor this into the initial research as a plan of engagement from the beginning. Identify key communication aims and develop strategies for how to achieve these aims over the course of the research project. Do not be afraid to contact bioarchaeology bloggers or other social media users with details of the project that the research team wishes to make public at a given time (this will depend on client or other stakeholder agreement and timing for release of the research via academic journals and conference presentations). Engage with users and produce content that is in line with both professional and personal ethical standards, state possible conflicts of interest if necessary, and, when discussing original research, indicate the funding bodies that have supported the work. Meyers Emery and Killgrove (2015) indicate a number of best practice suggestions that are pertinent to repeat here. They are: to write for an educated public, to write or produce content regularly, be sensitive to your own bias and the biases of others, and to repudiate the hysteria and hype of the media in a clear, productive and informative approach. There is a responsibility on a part of all bioarchaeologists who partake in public engagement to educate and inform on the standard approaches practiced in bioarchaeology and the ethical considerations that inform this, particularly to counter sensationalism and ethical misconduct. The above are all important aspects that each bioarchaeologist should use in their approach in disseminating and discussing bioarchaeological content and approaches to public audiences.’ (The above is taken from Mennear 2016: 356-359). So there you go, a few general tips on bioarchaeology blogging best practices. This chapter would not have been possible without last-minute editing, endless nights and bottomless coffees. All mistakes are, of course, my own. Image credit: imgur. My 2013 These Bones of Mine interview with Lorna Tilley, of the Australian National University, can be found here. The interview discusses the origin of the bioarchaeology of care and the accompanying Index of Care tool and the surrounding issues regarding the identification of care-provision in the archaeological record. 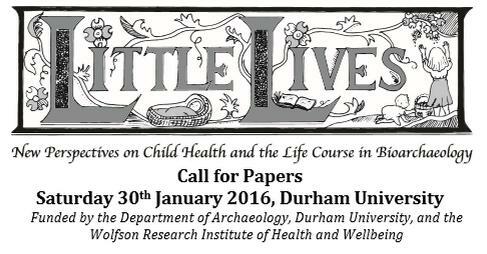 Previous Bioarchaeology of Care focused posts can be found here. Armstrong, C. L., & McAdams, M. J. 2010. Believing Blogs: Does a Blogger’s Gender Influence Credibility? In: R. Lind, ed. Race/Gender/Media: Considering Diversity Across Audience, Content and Producers. Boston: Pearson. 30–38. Battles, H. T. 2011. Toward Engagement: Exploring the Prospects for an Integrated Anthropology of Disability. Explorations in Anthropology. 11 (1): 107–124. (Open Access). Bertram, S. M., & Katti, M. 2013. The Social Biology Professor: Effective Strategies for Social Media Engagement. Ideas in Ecology and Evolution. 6: 22–31. (Open Access). Brothwell, D. 2010. On Problems of Differential Diagnosis in Palaeopathology, as Illustrated by a Case from Prehistoric Indiana. International Journal of Osteoarchaeology. 20: 621–622. Buckberry, J., Ogden, A., Shearman, V., & McCleery, I. 2015. You Are What You Ate: Using Bioarchaeology to Promote Healthy Eating. In K. Gerdau-Radonić & K. McSweeney, eds. Trends in Biological Anthropology. 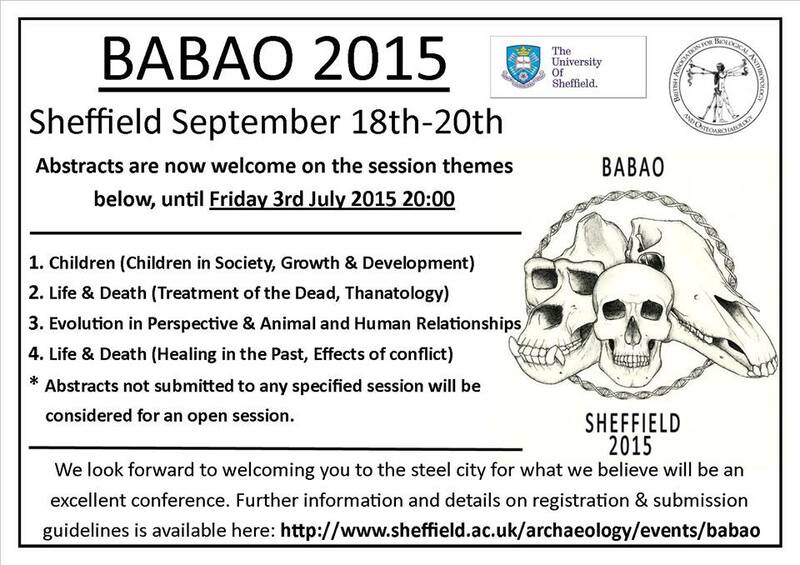 Proceedings of the British Association for Biological Anthropology and Osteoarchaeology. 1. Oxford: Oxbow Books. 100–111. Doat, D. 2013. Evolution and Human Uniqueness: Prehistory, Disability, and the Unexpected Anthropology of Charles Darwin. In: D. Bolt, ed. Changing Social Attitudes Towards the Disabled. London: Routledge. 15–25. Meyers Emery, K., & Killgrove, K. 2015. Bones, Bodies, and Blogs: Outreach and Engagement in Bioarchaeology. Internet Archaeology. 39. doi:10.11141/ia.39.5. (Open Access). Spikins, P. A., Rutherford, H. E., & Needham, A. P. 2010. From Hominity to Humanity: Compassion from the Earliest Archaics to Modern Humans. Time and Mind. 3 (3): 303–325. (Open Access). Tilley, L. 2015i. Theory and Practice in the Bioarchaeology of Care. Zurich: Springer International Publishing. Tilley, L. 2015ii. Accommodating Difference in the Prehistoric Past: Revisiting the Case of Romito 2 from a Bioarchaeology of Care Perspective. International Journal of Palaeopathology. 8: 64-74.